Get a Gift Voucher worth Rs 100 with this book T&C Apply: The Gift Voucher will be sent to your registered mobile number within 72 hours. Redeemable between 1st to 31st Oct. 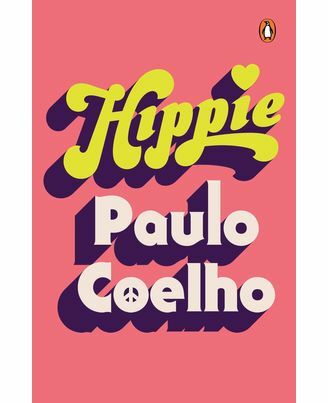 In Hippie, his most autobiographical novel to date, Paulo Coelho takes us back in time to re-live the dream of a generation that longed for peace and dared to challenge the established social order-authoritarian politics, conservative modes of behavior, excessive consumerism, and an unbalanced concentration of wealth and power. Following the "three days of peace and music" at Woodstock, the 1969 gathering in Bethel, NY, that would change the world forever, hippie paradises began to emerge all around the world. In the Dam Square in Amsterdam, long-haired young people wearing vibrant clothes and burning incense could be found meditating, playing music and discussing sexual liberation, the expansion of consciousness and the search for an inner truth. They were a generation refusing to live the robotic and unquestioning life that their parents had known. At this time, Paulo is a young, skinny Brazilian with a goatee and long, flowing hair who wants to become a writer. He sets off on a journey in search of freedom and a deeper meaning for his life: first, with a girlfriend, on the famous "Death Train to Bolivia," then on to Peru and later hitchhiking through Chile and Argentina. His travels take him further, to the famous square in Amsterdam, where Paulo meets Karla, a Dutch woman also in her 20stwenties. She convinces Paulo to join her on a trip to Nepal, aboard the Magic Bus that travels across Europe and Central Asia to Kathmandu. They embark on a journey in the company of fascinating fellow travelers, each of whom has a story to tell, and each of whom will undergo a transformation, changing their priorities and values, along the way. As they travel together, Paulo and Karla explore their own relationship, an awakening on every level that brings each of them to a choice and a decision that sets the course for their lives thereafter. 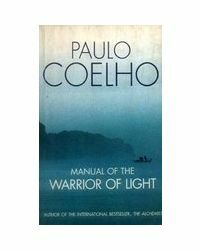 One of the most influential writers of our time, Paulo Coelho is the author of many international bestsellers, including Adultery and The Spy. He is a member of the Brazilian Academy of Letters and has received the Chevalier de l'Ordre National de la Légion d'Honneur. In 2007, he was named a United Nations Messenger of Peace. In Hippie, his most autobiographical novel to date, Paulo Coelho takes us back in time to re-live the dream of a generation that longed for peace and dared to challenge the established social order-authoritarian politics, conservative modes of behavior, excessive consumerism, and an unbalanced concentration of wealth and power.Following the "three days of peace and music" at Woodstock, the 1969 gathering in Bethel, NY, that would change the world forever, hippie paradises began to emerge all around the world. In the Dam Square in Amsterdam, long-haired young people wearing vibrant clothes and burning incense could be found meditating, playing music and discussing sexual liberation, the expansion of consciousness and the search for an inner truth. 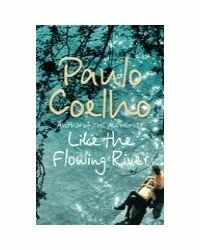 They were a generation refusing to live the robotic and unquestioning life that their parents had known.At this time, Paulo is a young, skinny Brazilian with a goatee and long, flowing hair who wants to become a writer. He sets off on a journey in search of freedom and a deeper meaning for his life: first, with a girlfriend, on the famous "Death Train to Bolivia," then on to Peru and later hitchhiking through Chile and Argentina. His travels take him further, to the famous square in Amsterdam, where Paulo meets Karla, a Dutch woman also in her 20stwenties. She convinces Paulo to join her on a trip to Nepal, aboard the Magic Bus that travels across Europe and Central Asia to Kathmandu. They embark on a journey in the company of fascinating fellow travelers, each of whom has a story to tell, and each of whom will undergo a transformation, changing their priorities and values, along the way. 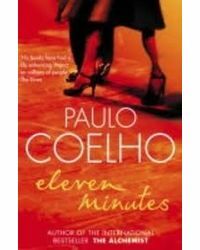 As they travel together, Paulo and Karla explore their own relationship, an awakening on every level that brings each of them to a choice and a decision that sets the course for their lives thereafter.About the Author :One of the most influential writers of our time, Paulo Coelho is the author of many international bestsellers, including Adultery and The Spy. He is a member of the Brazilian Academy of Letters and has received the Chevalier de l'Ordre National de la Légion d'Honneur. In 2007, he was named a United Nations Messenger of Peace.